An external cladding featuring a horizontal ship-lapped joint A range of cladding that features a horizontal ship-lapped joint. Pre-primed and easy to install, Stria™ cladding is the fast way to achieve a timeless and classic look that endures. Delivers a diverse range of looks Scyon™ Stria™ cladding can be used in residential applications wherever a timeless, classic and enduring look is required, including external walls in composite or full wrap construction, upper-storey and ground-level extensions and internal feature walls. Comes in three unique profiles There are three profiles to choose from in the Stria™ cladding range, each offering a variation of a ‘classic’ look. standard profile 325mm wide 14mm thick with a square horizontal edge that gives the timeless charm and classic appeal of decorative rendered and raked masonry. wide profile 405mm wide 14mm thick with a square horizontal edge that gives the timeless charm and classic appeal of decorative rendered block-work. splayed profile 255mm wide 16mm thick with a splayed horizontal edge that gives the timeless charm and classic look of traditional timber. And each of these looks can be further enhanced by your choice of corner detailing, for example, aluminium, mitred or Scyon™ Axent™ trim. Easy-to-cut mitred corners mean that horizontal lines wrap the building seamlessly. Alternatively, Scyon™ Axent™ trim can provide a contrast. Plus, a vertical flashing stop provides a 15mm vertical groove to match the horizontal for a more geometric treatment. Stria™ cladding is the fast and simple way to create a timeless and classic look. Once the first board is fixed level, the shiplapped joint on the next extra-wide, 4.2m long board is fixed to the top of the previous board and can be joined on or off stud. For a classic rendered and raked masonry look, compare this to the slower process of laying bricks, rendering, scoring and painting (and with all the associated mess and scheduling of different trades). Stria™ cladding will maintain its integrity and general appearance significantly longer than timber. Some timber is susceptible to cracking in exterior applications, which in turn can lead to shrinking or warping. 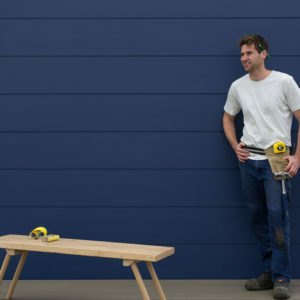 Stria™ cladding will resist shrinking, swelling and cracking* to hold paint longer than wood and can also be painted dark as well as light colours. 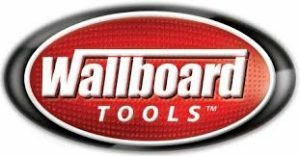 Up to 60 minutes Fire Rating when used with HardieSmart™ wall systems. When Stria™ cladding is used with the right insulation and in accordance with the standard installation instructions, an R-Value of up to 2.8 can be achieved for the wall. Greater Total R-Values can be achieved through the use of cavity wall construction and reflective vapour permeable membranes. Refer to the James Hardie’s Wall System Thermal Performance Total R-Values Technical Supplement for more information. Stria™ cladding is made from Scyon,™ the advanced lightweight cement composite with the heavy-duty performance. Not only is it resistant to damage from termites, rot and fire*, but it can also be gun nailed** and is easy to cut – like timber. Sizes Stria™ Installation Video Scyon™ Stria™ cladding Installation diagram * When installed and maintained correctly and to the extent set out in James Hardie’s published literature current at the time of installation. PanelClad® sheets can be used inside and out to add interest. Can be used to provide contrast with other wall colours and textures. Available in two surface textures: PanelClad® Stucco sheet and PanelClad® Textureline sheet. James Hardie also manufactures steel framing accessories such as HardieBreak™ to seal plasterboard joins inside or outside external walls, vastly improving the thermal performance of a building. This thermal strip has been specifically designed for use behind James Hardie cladding using steel framing systems and significantly reduces thermal bridging.